An ancient volcanic cinder cone in southeastern Oregon. 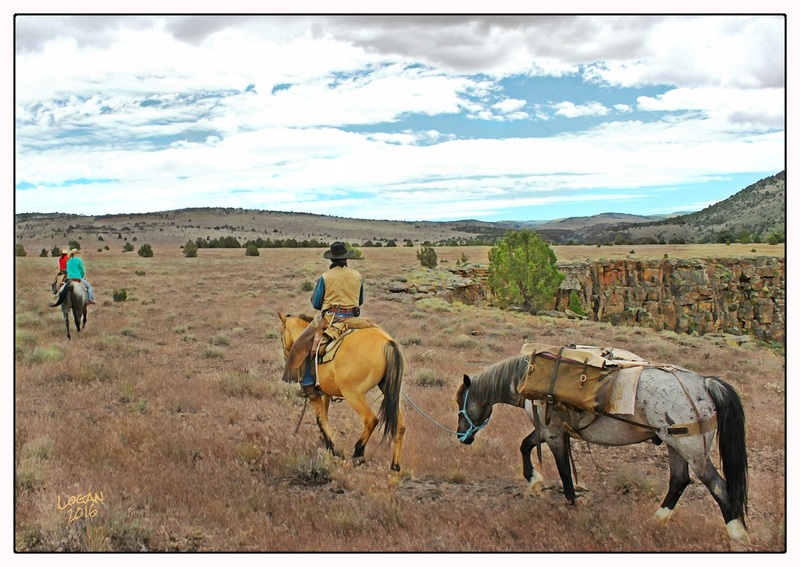 Riders skirt the rimrock edge of a deep canyon in the Kiger Mustang Herd Management Area. 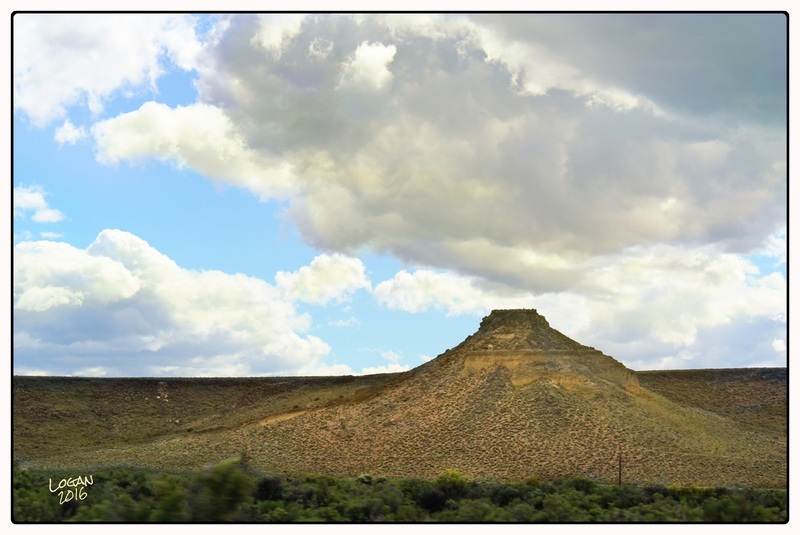 Tectonic shifting heaved up block shaped mountains which slid sideways and broke apart, forming escarpments and narrow cracked valleys. 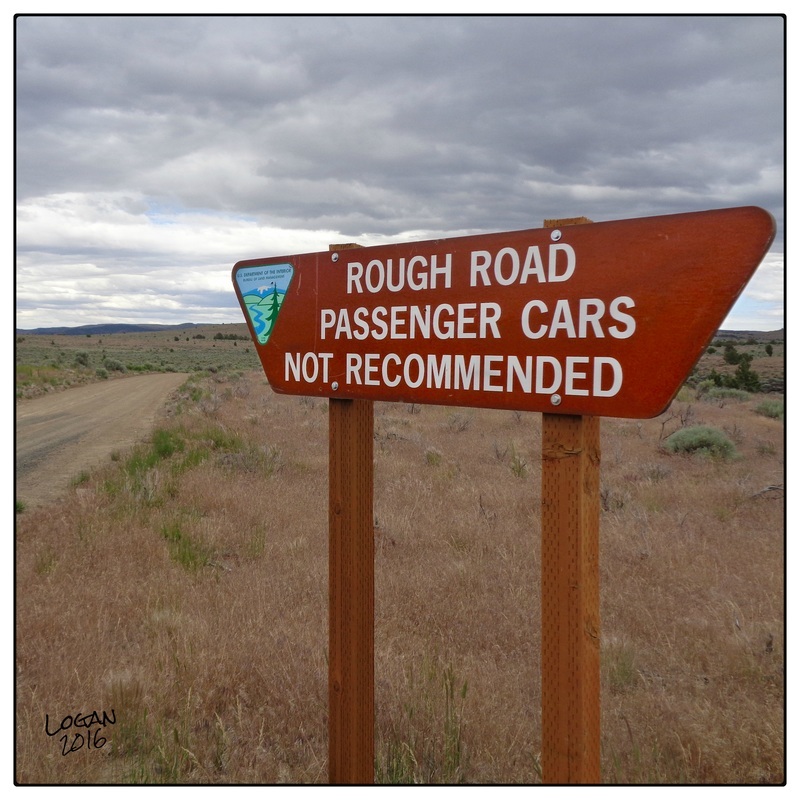 Basalt rimrock runs for miles and miles along the edges of the canyons. 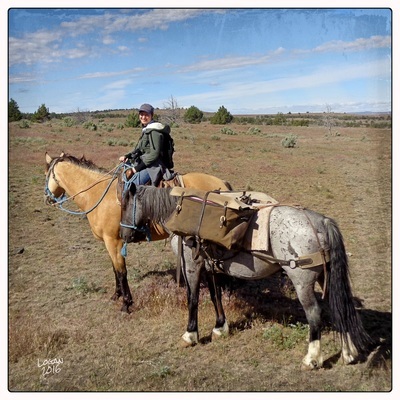 ​About 45 miles south as the crow flies from Burns, Oregon, lies the Kiger Mustang Herd Management Area, comprising almost 37,000 acres of high desert plateaus, ridges and canyons on the slopes and valleys of Steens Mountain. 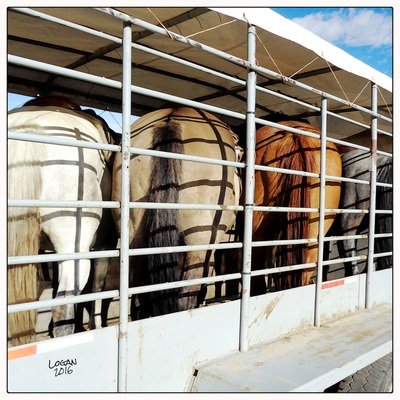 The Kiger Mustangs are a small, compactly built horse that exhibit the “dun factor” coloring: red, tan, grulla (gray), buckskin and variations of these colors, punctuated by dorsal stripes down their backs and zebra striping on their legs, perhaps echoing an ancestral connection to the now extinct tarpan, a wild horse of eastern Europe and Russian. 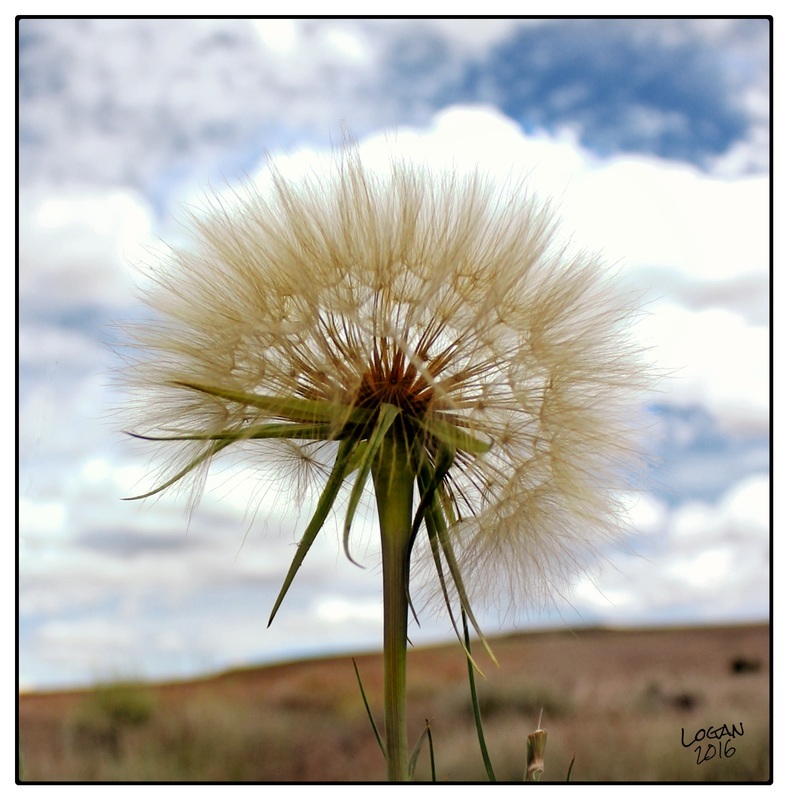 They usually have little or no white on their bodies. 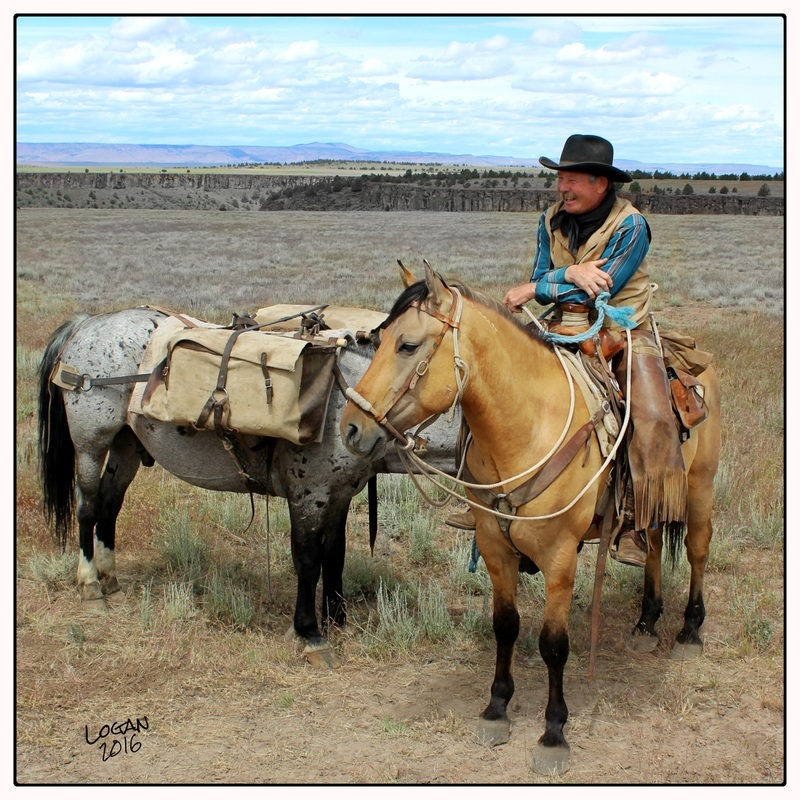 Spanish horses from the Iberian Peninsula and North Africa brought to North America by the conquistadors are the ancestors of today’s Kiger Mustangs. 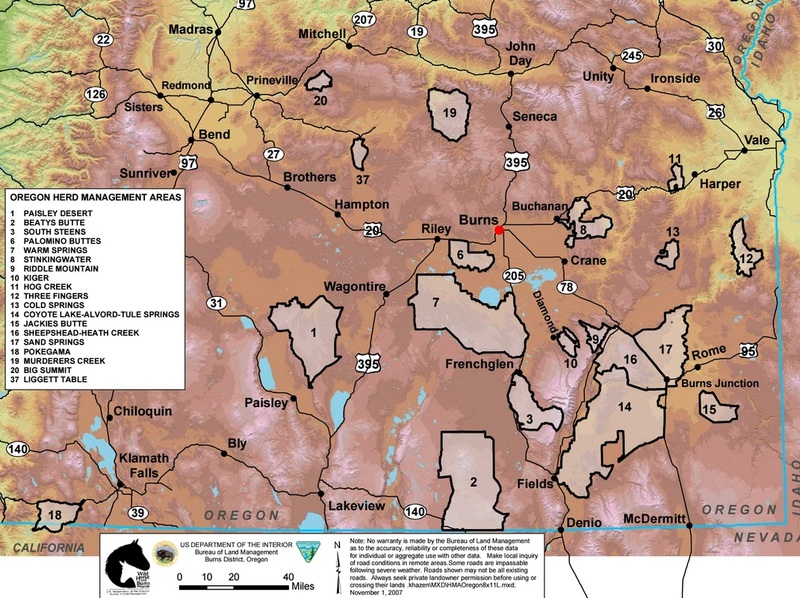 The remote isolation of their southeastern Oregon home kept them from crossbreeding with a variety of other wild and domestic horses. Discovered in 1977, the Kiger herds are now managed by the BLM to preserve their unique characteristics. Horses that most match the desirable colors and Spanish body type are released back into the wild after the periodic gathers that are necessary to keep the population growing too large for the ecology to sustain. 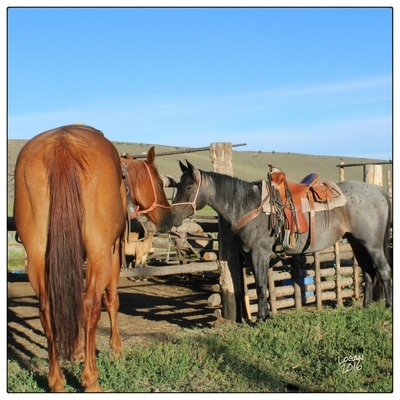 Trail horses ready for a day up on the range. 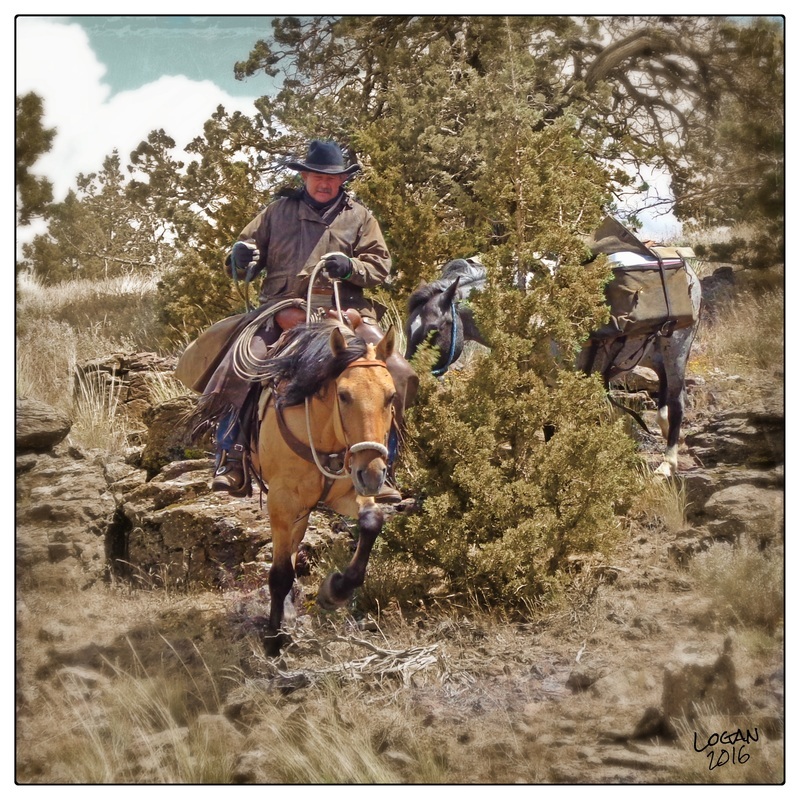 Tim O'Crowley of Steens Mountain Guest Ranch brings his Kiger gelding Serrano and pack horse Scooter down off a rocky ridge. Due to the innate toughness of mustang feet, Serrano needs no shoes. 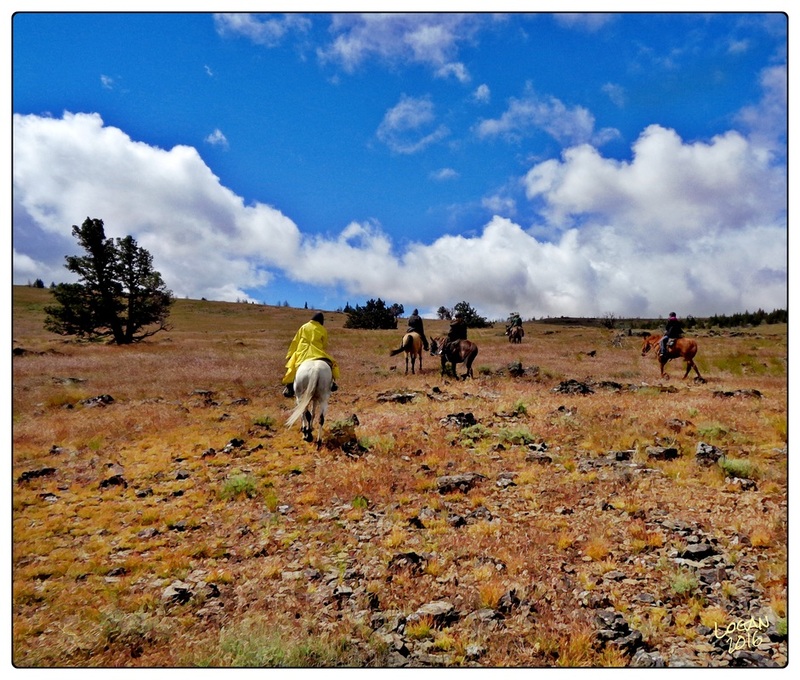 On my trip to the Kiger HMA, most of the wild horses we saw were a mile or more away, but this bachelor band of three stallions was willing to come closer, about half a mile away. The dark bay on the left was especially curious. 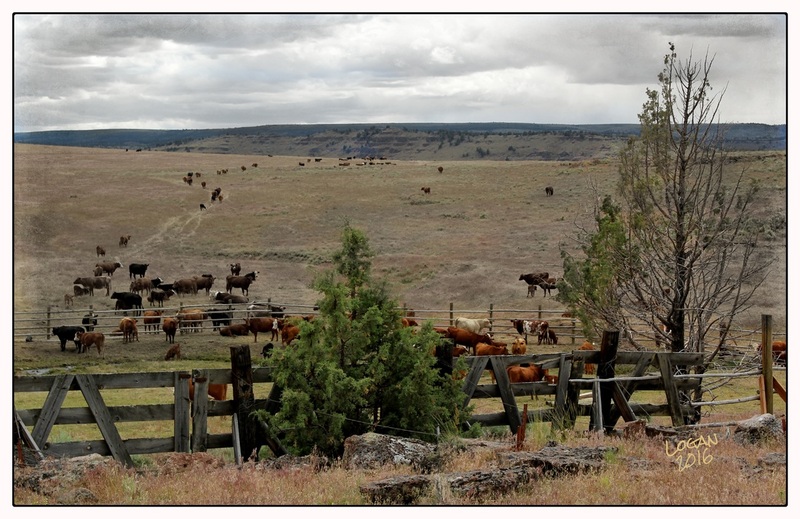 Cattle share the range land on Steens Mountain. 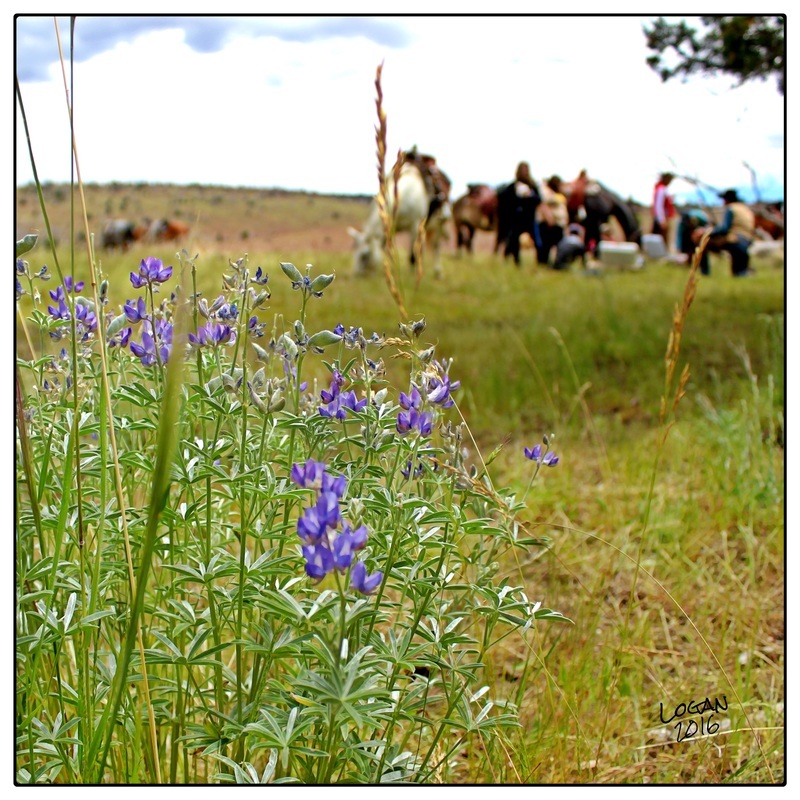 When the ecology of the area is carefully managed by the BLM and local ranchers, there is enough grazing for both horses and cattle. 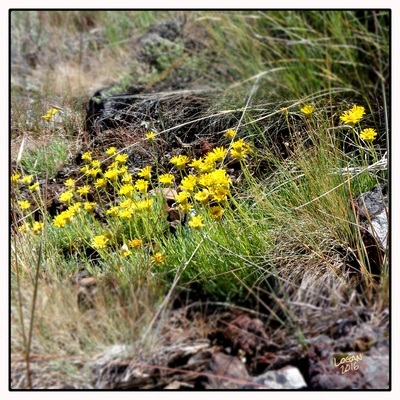 However, invasive plant species like cheatgrass and medusahead are crowding out native species of forage grass. 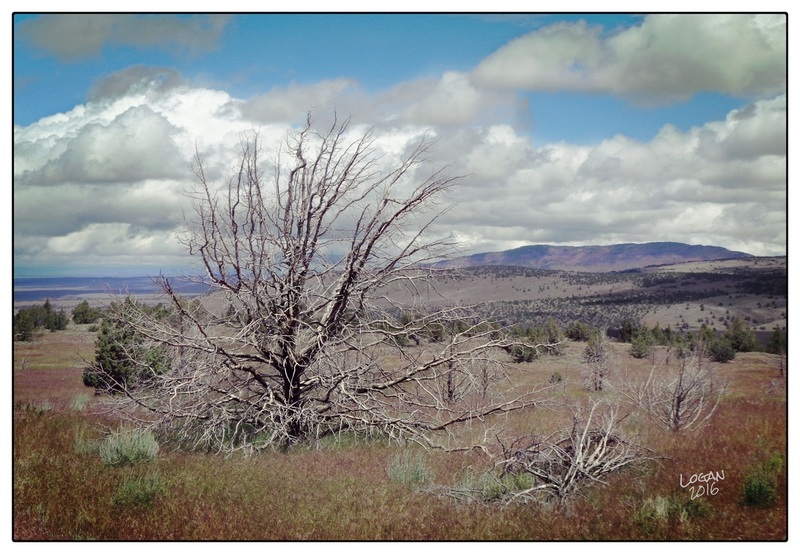 The gray trunks of dead junipers, victims of wildfire, are strewed about the valleys, slopes and ridges. To help prevent the rapid spread of fires, the BLM cuts down a percentage of living trees. This allows their natural oils, which burn hot and fast, to dry out. 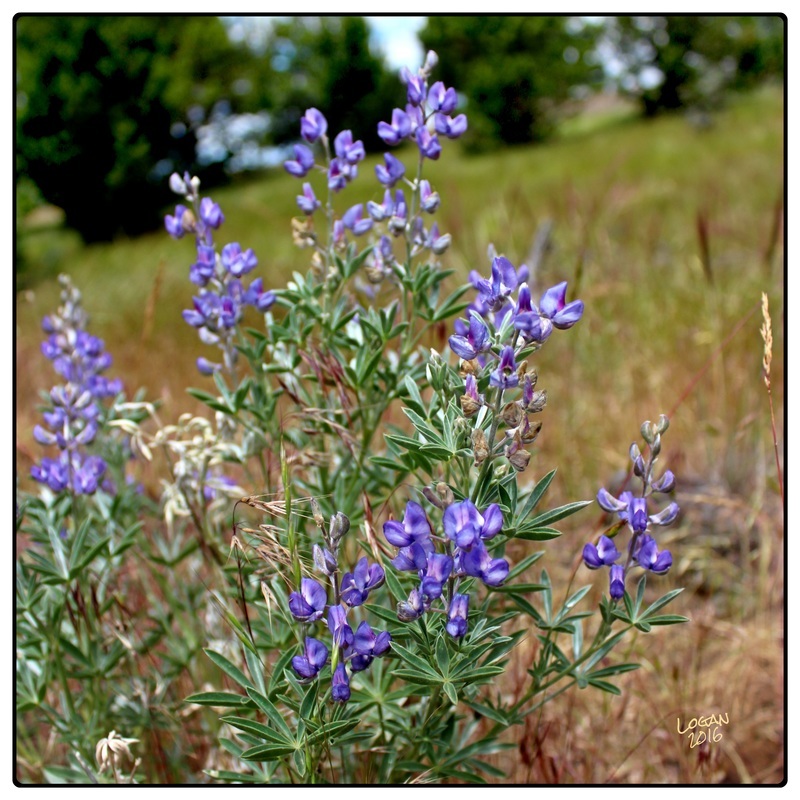 While beautiful, junipers are invading high desert areas, robbing water from native species like sagebrush. 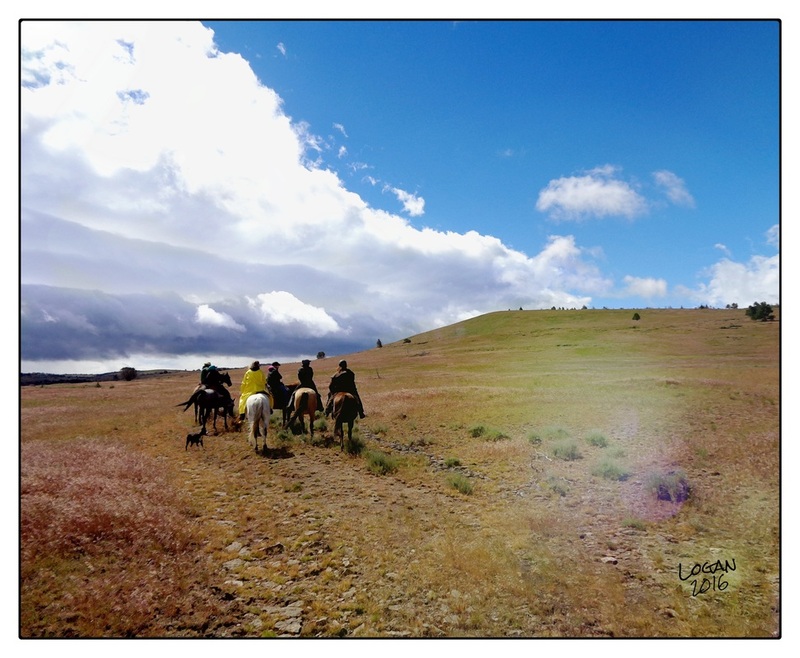 Riders approaching the top of a ridge in the Kiger Mustang HMA. When you are up on Steens Mountain, it feels like the top of the world. The world looks better from the back of a horse. 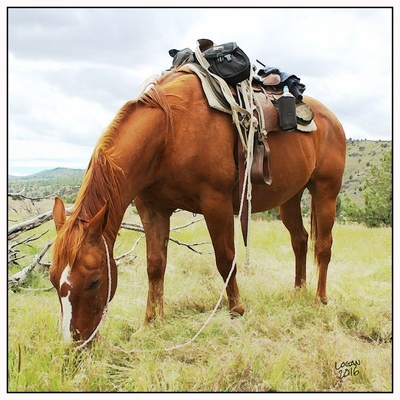 Riders taking a lunch break in the Kiger Mustang HMA. Winter snows still linger in the Cascade Mountains to the west. 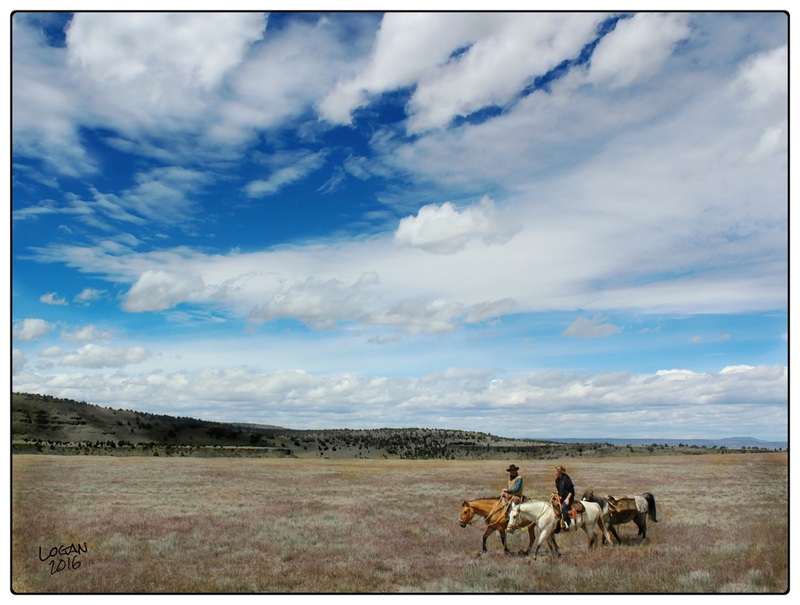 From a distance, the valleys and ridges of the Kiger Mustang HMA look to be covered with grassy meadows, but most of the ground is extremely rocky. Here riders pick their way carefully over ground that mustangs will cover at a gallop. but they do NOT like Rosie the dog. Spring calves are plentiful in June. Tim O'Crowley, trusty guide. 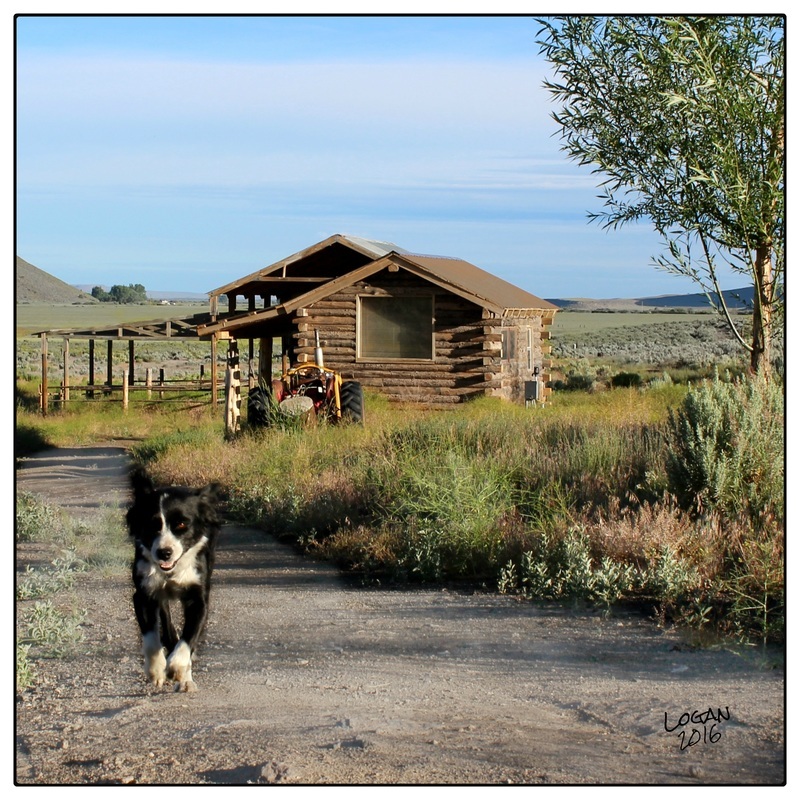 Before I traveled to Oregon and met Tim and his wife Susan, I was able to watch Tim's training progress with his BLM Kiger, Serrano, via videos on their Facebook page. ​Special thanks to Tim and Susan O'Crowley for their excellent hospitality. To learn more about Steens Mountain Guest Ranch, click on the link below.